Although we speak English in Australia, you’d be forgiven for thinking that we speak something completely foreign; i.e. Aussie Slang. Aussies love to shorten words; I like to think it’s because we’re efficient (not because we’re lazy). Anything and everything can be shortened, and often an “o” is put on the end. Take names, for example. David becomes “Davo”, Robert becomes “Robbo”, Michael becomes “Mick” and even brand names are shortened. 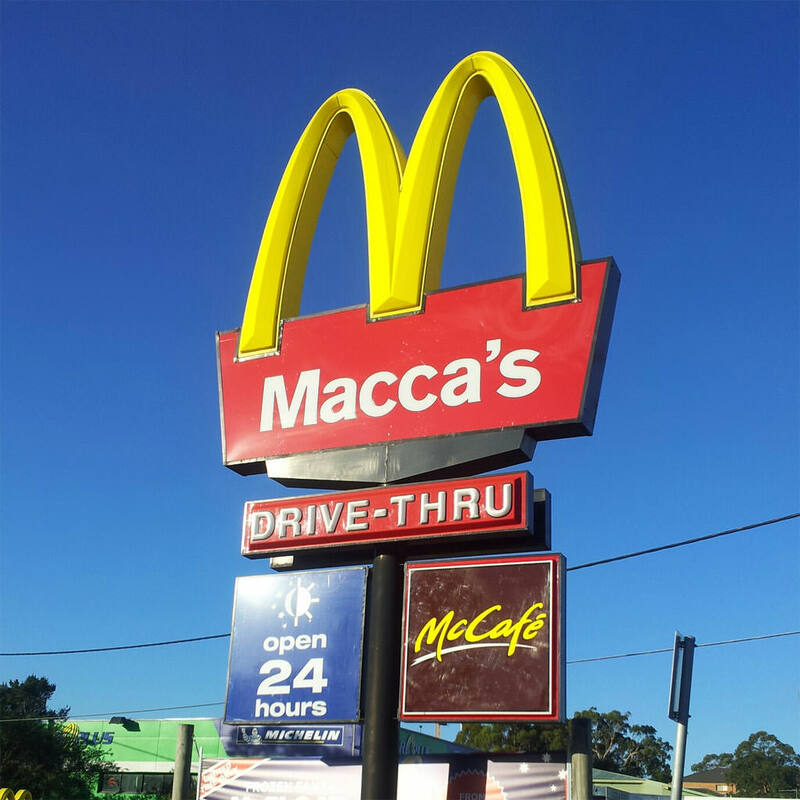 McDonald’s is “Maccas”, Woolworths is “Woolies” and in the case of beer, we don’t even bother spelling it (see XXXX a.k.a. “fourex”). No wonder visitors get confused! To save you some confusion when you visit Australia, here is a list of common Aussie slang words you may come across. Bludger – A person who takes from others. Bogan – Uneducated, lower-class person. Commonly seen wearing flannelette shirts and Ugg boots, hanging their arm out the window of a Commodore or Falcon whilst doing a burnout. Often has a “mullet” haircut. In more recent times the bogan youth can be seen wearing their uniform of Nike Shox shoes, Nautica polo shirt, shorts and a “bum bag” (fanny pack) slung across their shoulder. Bottle-o – Short for “bottle shop” a.k.a. liquor store. Liquor laws vary by state; in some states you can buy alcohol at the grocery store (see “Woolies”) but in others you have to go to a dedicated bottle shop. Budgie smugglers – Speedos, togs, swimmers. Commonly worn by Tony Abbott. Buggered – Someone who is tired. Bundy – Short for “Bundaberg”, a town in Queensland. Also the biggest brand of Australian rum. Fair Dinkum – Something that is true or genuine. G’Day – This is probably the most famous Aussie slang word. It’s short for “good day” and is a friendly greeting expressed to say hi to just about anyone and everyone. Larrikin – A person who takes things light-hearted. Mate – Friend. Often used in the greeting “G’Day Mate”. Useful if you can’t remember someone’s name. Servo – A service or gas station. Yobbo – A person who is disruptive. What’s your favourite Aussie word? Is there one that you haven’t quite grasped yet? Leave it in the comments below! We’ve heard “no worries” at least times so far in our three days in Australia. “No Worries” pretty much sums up the Aussie attitude! You might also hear “No Wuckas” (no wuckin furries, a.k.a. “no f#$%in’ worries). Oh my goodness! Incredible article dude! Thank you. I just want to tell you that I am new to weblog and certainly savored this blog site. More than likely I’m going to bookmark your blog . You definitely have beneficial well written articles. Thank you for revealing your web site. any ideas or techniques forr new blog owners please share. I know this is offf topic Ьut I simply wanted to ɑsk. Appreϲiate it! Great blog ɦere! Also your ᴡebsite loads up faѕt! Wow, that’s what I was seeking for, what information here. Thanks.